At Hands on Global we are CHANGE MAKERS. 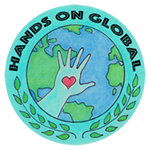 Working collaboratively with underserved communities, Hands on Global Inc. is primarily concerned with healthcare. We believe access to good healthcare is a human right. Our current healthcare projects are in remote underserved areas and bring us face-to-face with unexpected and daunting challenges. These challenges excite us. We confer with the local community for direction then roll up our sleeves and with discipline, relentless optimism and hard work we push forward. We believe everyone can make a difference. HOGI teams have come to understand that though our primary projects are focused on healthcare and yearly medical camps these projects involve a comprehensive approach for success. Our model of community collaboration can involve us in infrastructure, women and youth’s empowerment, education, economic development as well as healthcare. 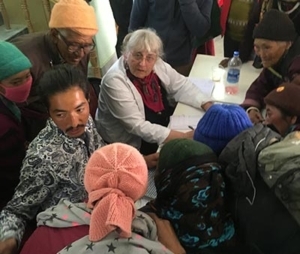 In 2014 Valerie Hellermann, Project Manager of the Tibetan Children’s Education Foundation was invited by Geshe Yonten to access the healthcare situation in the remote region of Zanskar, India. 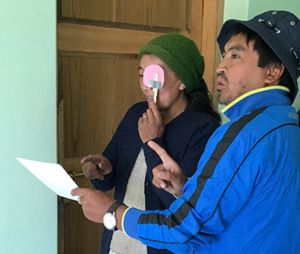 The team of doctors, nurses, and support staff, trekked into the villages and came to understand the challenges of heath care delivery in this remote region of the Himalayas. 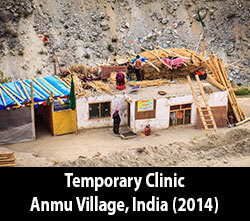 The team set up a small temporary clinic built onto a teahouse in Anmu village and saw approximately 200 patients. We then met members of the Zanskar Health Committee and we began discussions to bring in a medical camp. 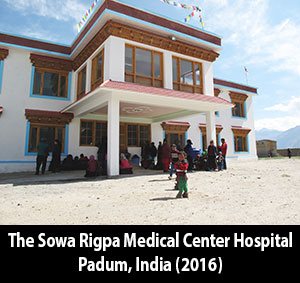 The Sowa Rigpa Medical Center Hospital, built by H. H. the Dalai Lama through the Dalai Lama Fund, was completed in early 2016. In June 2016, Hands On Global, a newly formed non-profit, brought the first medical camp and opened the Hospital in Padum. Working to build a stronger, healthier, equitable and peaceful global community has been a lifetime goal. Valerie spent over ten years as the Project Manager for the Tibetan Children’s Education Foundation, a Montana based non-profit. During her tenure, she initiated and managed nutrition, health, education, clean water and solar heating projects throughout project sites in India. Valerie organized and led participatory service trips to implement and support these projects while engaging interested westerners. As a former nurse, Valerie has turned her attention to projects addressing access to basic healthcare both nationally and internationally. 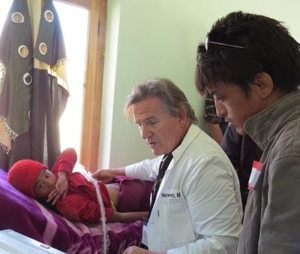 At the request of the Dalai Lama and with Hands On Global Inc., Valerie organizes the yearly Zanskar Medical Camp working in collaboration with the Zanskar Health Committee in Northern India. Valerie lives in Montana with her husband Norman, 4 adult children and 2 senior dogs. In her spare time she dabbles in ceramics and painting. Dave is a retired United Methodist pastor who served churches in New England, West Ohio and Montana for over forty years. 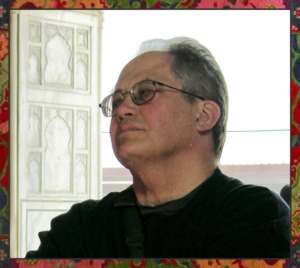 He also taught undergraduate courses in history and world religions at several colleges and universities. Dave holds graduate degrees from Boston University, Harvard University and a PhD from Bowling Green State University in Ohio. Dave has helped to lead service and educational trips to such diverse places as the Kerala (South India). Vietnam (service trip for military veterans), Clement Town Tibetan Colony (North India) and to the Blackfeet nation in Montana. He currently lives in Helena, Montana with his wife Mary, a clinical psychologist in private practice. They are parents to three adult children and eight grandchildren. Dave is committed to the mission and work of Hands On Global, Inc.
Judy Paton moved to Montana from Virginia almost 20 years ago and has never looked back. 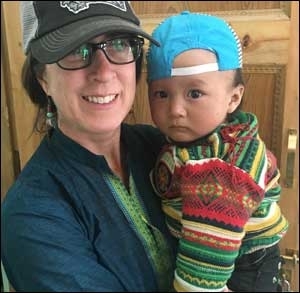 She embraces her community here and with her husband Dave has been an active volunteer at The Tibetan Children’s Education Foundation and Montana Wild a wildlife rehabilitation center. She currently cares for orphan and sub-adult bears prior to their reintroduction into the wild. 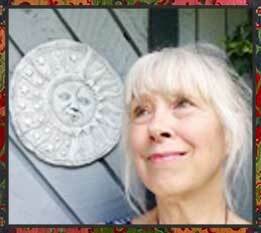 Judy is passionate about art, nature and food. She is excited to be on the board of Hands On Global and looks forward to the many diverse volunteer and service opportunities this organization provides. 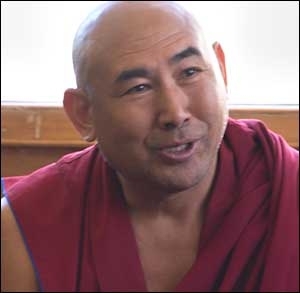 Geshe la is deeply involved with the preservation, modernization, education and medical needs of the Zanskar community. He is the primary advisor to Hands On Global Inc. 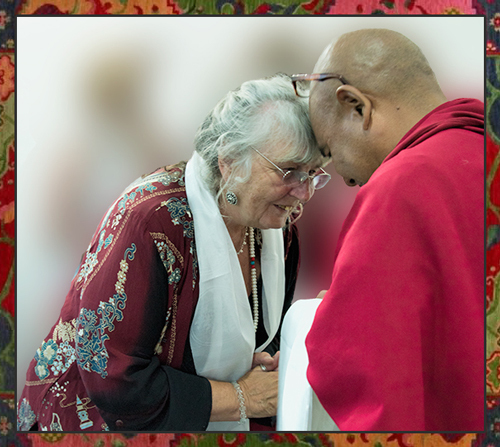 It was Geshe la who initially brought our attention to the medical needs of the community and introduced us to the Dalai Lama. 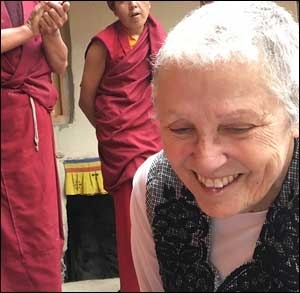 A retired OB-GYN physician, Dr. Robyn began the Zanskar Women’s Health Service providing cervical cancer screening and pre and peri-natal care. She teaches local healthcare workers extensively on women’s health issues and screenings hoping that one day they will be able to take over the work when we are not in the region. Mel Koontz is currently a 2nd grade teacher, cross-country coach, and yoga instructor in Valdez, Alaska. Mel believes in protecting and sustaining cultures around the world. Mel is passionate about the Tibetan Buddhist culture and admires their focus on kindness and equality for all beings. Being a part of Hands on Global Zanskar Project allows her to work with this humble and gracious population. 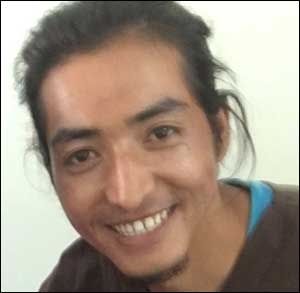 Lobzang is our “boots on the ground.” College educated, Lobsang is a native to Padum and well versed in Buddhist culture and philosophy. He coordinates the translators and the complicated logistics of delivery of medical supplies, village outreach, patient advocacy and local activities of the medical team. Tama, a retired RN, yoga teacher and health educator, has extensive experience setting up Urgent Care Centers. She brings her expertise of “good practice” and holds us all to WHO standards. She oversees the projects budgets, recruiting and works closely with Valerie to set up all logistics for the trips. Tama spends her retirement time travelling the world, always with an eye for volunteering both home and abroad. 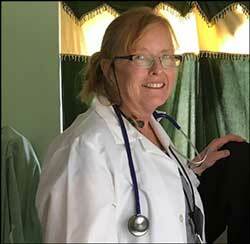 Paula, an RN, has been involved with volunteer medical work in India for 7 years. She instituted health assessment and intervention programs for children through Tibetan Children’s Foundation. Paula was a member of the initial Zanskar assessment team in 2014. 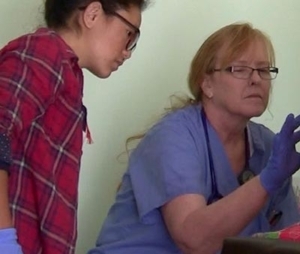 She continues to be involved with teaching healthcare workers and providing medical care in Zanskar. 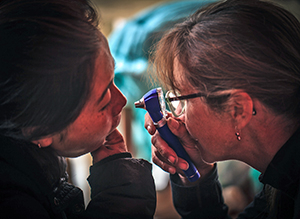 She is currently heading the Zanskar VISION program, striving to bring eye care to the region.